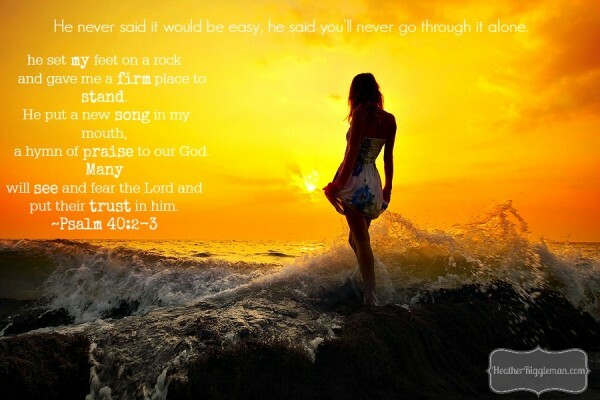 “I never said it would be easy.” How to Stand ON Faith. I don’t even know where to start, I feel so trapped. I want to write–for my words to ignite thousands of women’s hearts to be on fire for you. I want each word to be the catalyst that makes each women turn around and run back to you–brave in their faith, steady in their walk, and hearts trusting in you. And then I look up from my computer, my kids running through the yard, playing football and drawing imaginary adventures in chalk on the sidewalk. My heart burns just as much to see them grow in their faith–to be ambassadors for Christ in this crazy world that seems to push YOU out every chance it gets. Life feels so messy, upside down and inside out. The bills overwhelm me, the needs my kids have worry me, and then I wonder if I’m being too selfish to dream these dreams. I feel like the world is against me, and I feel like I’m all by myself, and I don’t think I can hear your voice. I feel all alone. (excerpt from my journal). If this trial brings me closer to YOU, I’ll walk through it if you want me to. Maybe you feel the same way little mama. 🙂 Do you ever have days where your life feels like it’s a mess? You wonder as you match off white socks “Is this all there is? 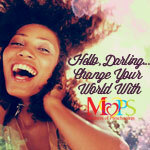 Am I making a difference? Do I matter? Does Jesus hear me? Is he even here? Your pathway may be broken and the road signs are unclear and this may be the darkest valley you’ve ever walked through; and it seems like he isn’t answering your cries for help. But it doesn’t mean God isn’t with you. Because when we don’t stand on faith, we fall into the pits of worry and doubt. We forget how mighty our God is. We forget WHO HE IS. We forget how much he suffered to win our hearts–we forget the details of the love story he is writing to us. When a woman doesn’t stand on faith, she will ache with the sadness of an overwhelmed & lonely soul. He giving us the opportunity to grow in our faith, to trust him in life when it feels like he is absent, to tell our hearts to be still for he is still with us–it’s a chance to close our eyes and remember his promises. I said you would never go alone. Real moms live real lives and need real faith! Don’t miss out on Heather’s posts. 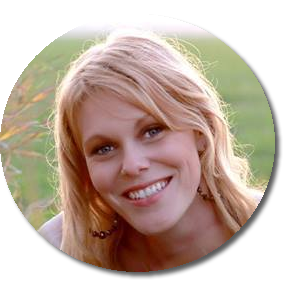 Sign up here to Heather Riggleman’s “The Real Mom,” delivered to your inbox! Enter your email address in the box below and click go.